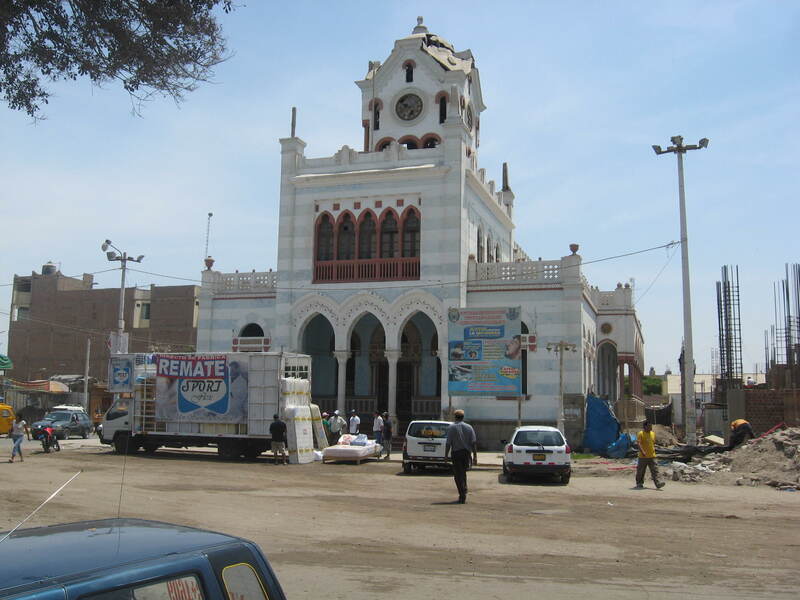 I had a chance to visit the town of Pisco a few times recently. Pisco is about a 4-5 hour busride south of Lima, and best known as the namesake of the famous Pisco Sour drink (more on that later). You can see some construction going on next to the church. 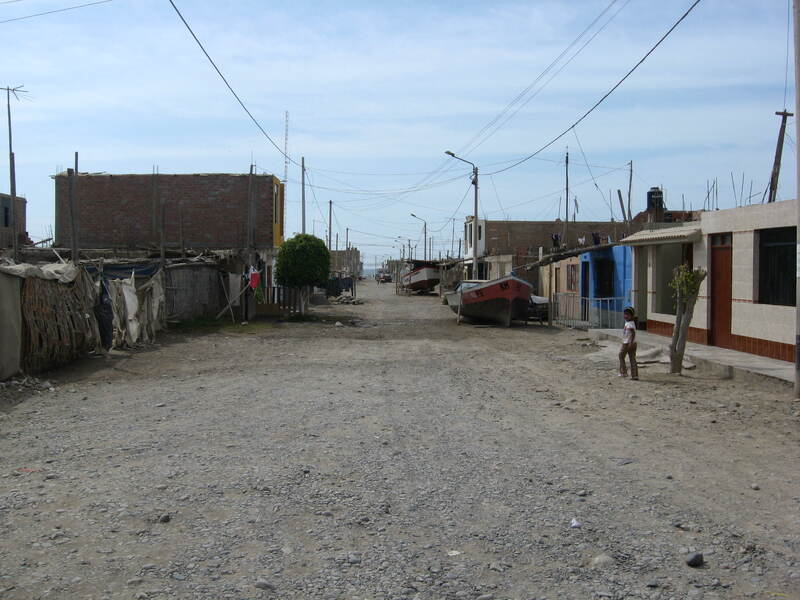 The town of Pisco was hit by a serious earthquake in 2007. It was hard for me to tell exactly what’s ongoing reconstruction from the earthquake versus some of the typical half-finished buildings you see in Peru, but there is still obvious earthquake damage in the area. 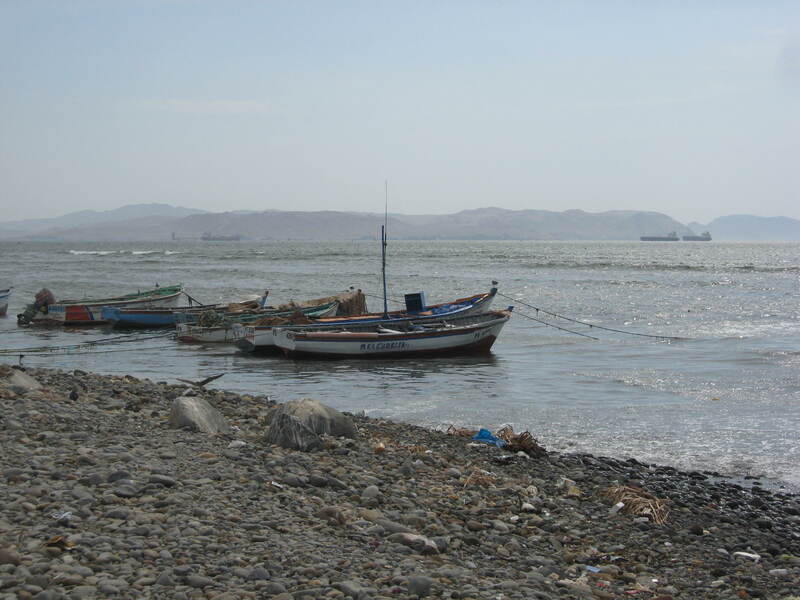 I think most of the economy in Pisco consists of growing grapes for the “Pisco” drink and fishing. 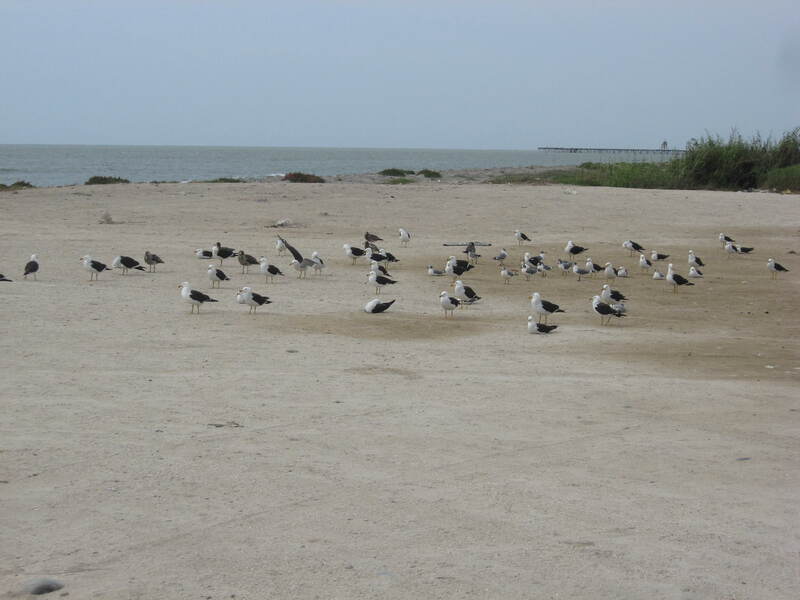 Pisco also has a shared civilian/military airport, a relatively large seaport and some oil and gas installations. You can see the oceangoing ships in the background. 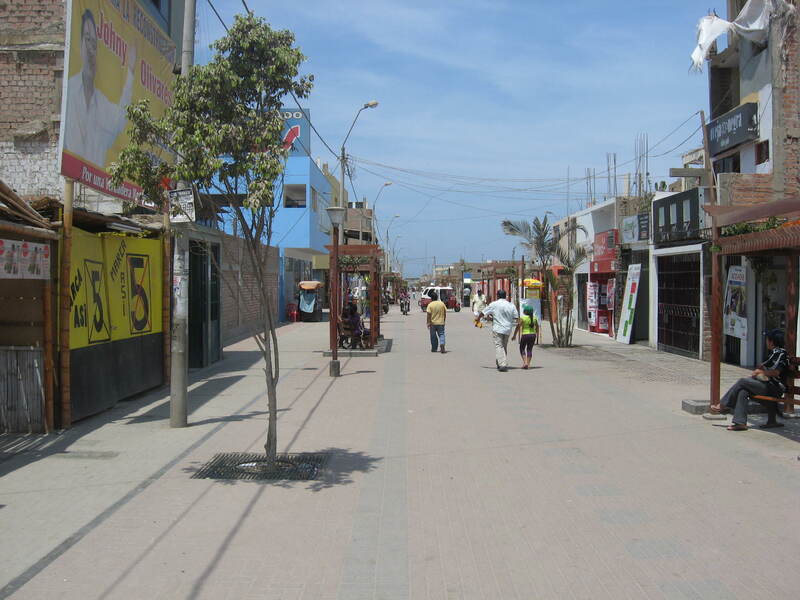 I stayed in the small village of San Andres, on the Pacific coast about 5 minutes from Pisco. San Andres is a very quiet seaside town, but a few tourists do come through there to get to the Pisco airport for scenic flights over the famous Nazca lines. Near Pisco you also find the Paracas National Reserve and the Ballestas islands, where I was told you can find really beautiful beaches and a resort-style hotel, but I didn’t have time to go there. In San Andres I stayed at the hostal “La Jalapa”, which is a very quiet and pretty hostal just at the edge of the town. 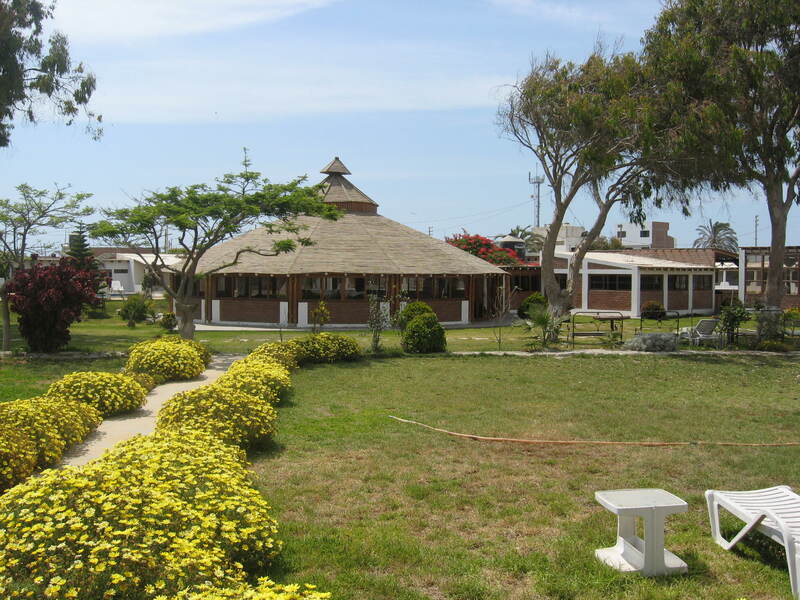 It has nicely kept green areas, a pool and restaurant. I paid the silly rate of S/.30 per night and was very happy. 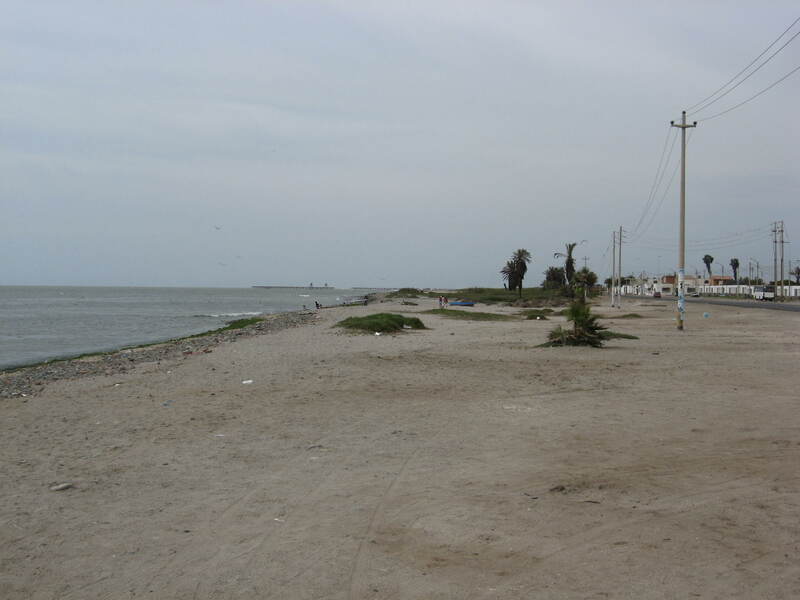 This entry was tagged beach, La Jalapa, Paracas, Peru, pictures, pisco, San Andres, town. Bookmark the permalink. 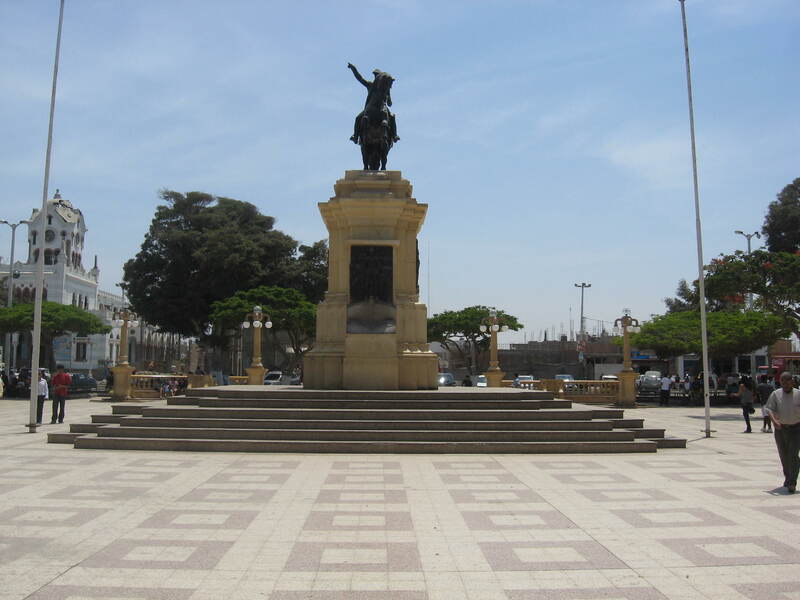 Thank you SO much for sharing your pictures of Pisco, and specifically, San Andres. My son is on a two year mission for the Church of Jesus Christ of Latter-Day Saints and he just got assigned to live and proselyte in San Andres for awhile. It helps me relate to him a little better when I can SEE what he is dealing with and where he lives! I loved your story…I hope you are well and thriving in Peru! Hi Shauna and thanks for your comment. I really enjoyed the friendly people and the small-town atmosphere at San Andres, I hope your son has a wonderful experience there! It is my intention to go live in Pisco; probably next year. Do you happen to know if I can stay there for several years, without changing my official address in Belgium?